Butterfly Threads: It's nice to meet you! I've been quilting for 22 years. I took a quilting class while on maternity leave from work. I wanted to make a baby quilt for my first child. I was hooked from the first stitch. I had never really sewn anything before and didn't own a sewing machine until I needed to buy one for that class. I had slept under quilts that my great grandmother made, so I knew I loved quilts, I just didn't know how much I would love making them! My hubby is a hard working airline pilot. I was a flight attendant for 10 years. After using my college degree (education) for a two years, I decided I needed more adventure, so I became a flight attendant for American Airlines. I traveled internationally most of that time and loved every minute of it. I retired after my first maternity leave because I knew I couldn't be too far away from my baby! I still regret that I gave up that career, but the trade off was SO worth it! I was a home school mom. My husband and I planned to home school our kids through the middle school years before we even had our babies. We chose to educate and travel with them through those years because, sadly, public school is pretty much a waste land during those years. We had a wonderful time and I'm pretty sure we learned as much as the kids did! It was an amazing time to really enjoy as a family and I cherish those memories. My three amazing kids are all currently in college. My daughter Kelly, 21, is a junior at Berry College, majoring in animal science. She works at the equestrian center and is on the equestrian team. Her first love has always been horses! She is beginning the process of applying to veterinarian schools. My sons David and Danny are 20 year old twins. They are 15.5 months younger than their sister. I'm still tired. David is a sophomore at UGA and majoring in computer science. He loves to run and work out. Danny is a sophomore at Virginia Tech and is majoring in mechanical engineering. He is a member of the roller coaster club and they travel to theme parks for behind-the-scenes the tours. He also likes to run and work out. My fur babies are my constant companions. Buddy is a 13 year lhasa apso. He is a bit grumpy but he still likes to play with the other dogs. Hubby says he's a cat that barks and that's fairly accurate. Bailey is our 11 year black lab. She was a rescue and had some injuries to one of her back legs, but she doesn't let that slow her down! She is the sweetest dog ever. She's so tolerant of Boomer. Boomer is our 4 year old golden retriever who is the happiest dog alive. He LOVES getting attention and playing and being wild. We love him just as much as he loves us, and that's a LOT. We also have a rescue kitty named Luna. She is bipolar. You never know what you'll get with her, purring or a bite, could go either way at any time. She HATES the dogs. So we don't see much of her. I do like it when she curls up on my feet at night in bed. We savor her sweet moments as they can be fleeting. I belong to 2 local quilt guilds. One of the best parts of being a quilter is the connections we make with other quilters. I belong to two local guilds. One guild is very active and has lots of great speakers and workshops. I've been in that guild since I started quilting 22 years ago. My other guild is a little group mostly for show and tell and social. They are a fun bunch of folks who like to laugh and have fun. My bee group isn't a guild, but it's my favorite group. There are five of us who meet monthly and share everything about life, family, health, and of course, quilting. These are the women who really sustain me. I'm so lucky to be a part of this group. I was first published in a quilting magazine in 2012. 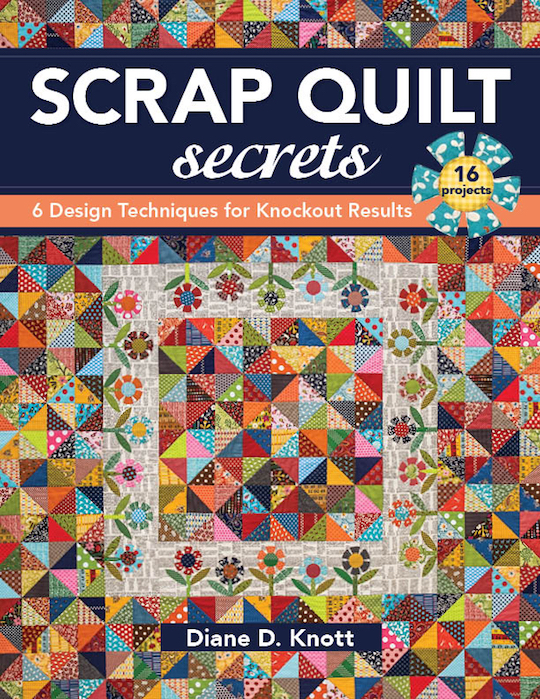 The first quilt I ever submitted to a magazine was published in 2012. I was then published in multiple issues of almost every major quilting magazine. It was fun but it's not a financially lucrative pursuit. They pay doesn't cover the cost of fabric and shipping much less the time and effort. But it's a thrill to see my projects in print. Sadly, the last four quilts I have submitted have been refused. That's what happens when one person is the acquisitions editor for all of the magazines. They either like your stuff or they don't. Oh well. I've been there and done that, no need to look back. 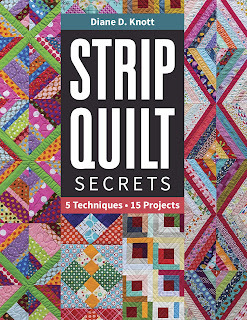 The two books I've written for C&T Publishing are Scrap Quilt Secrets and Strip Quilt Secrets. 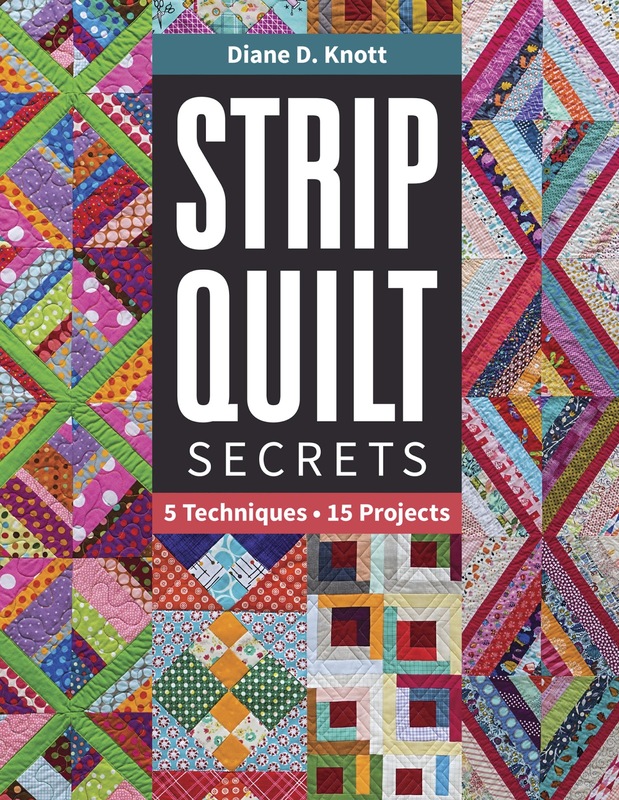 I had planned to write another book next year called Selvage Quilt Secrets but they decided the market for that is limited and declined to move forward with it. I am so relieved. Writing a book is a huge labor of love and isn't for the faint of heart. There is a massive amount of work involved in learning how to format, code, and cross reference all of the things that will be in the book. The diagrams and illustrations all have to be drawn to scale and colored. Then it's all sent off and formatted. Once it's sent back, the author is responsible for editing and catching all errors and fixing all of the diagrams and illustrations that were interpreted incorrectly. And deadlines. Oh my the deadlines. I got a Handi Quilter Amara almost a year ago. Last year on Valentine's Day, my longarm arrived. I had never thought I would get a longarm. I learned how to use one at the local quilt shop where I work one day a week and found it much more fun than I expected. It wasn't as intimidating as I thought it would be. One thing led to another and I am the very happy owner of an Amara. I am going to attend Handi Quilter Academy in June to learn more about it but I've done pretty well so far, I've quilted over 50 quilts my first year! Click HERE if you want me to quilt for you! I would love to! After all these years, I still love to travel. I get to travel while teaching and sharing with quilt guilds and I love to travel to quilt shows. This year I am going to Quiltcon in Nashville and the Sydney Quilt Show for the first time ever! I also hope to attend the Pour L'Amour du Fil show again in the future. Family travel is still a top priority and we are going to spend a week in northern California for spring break this year. I love seeing the world through my kids' eyes. They make everything more fun! I'm excited to see what the future holds. Thanks for sharing the adventures with me! I so enjoyed reading this post! I knew some of the things of course, but it is nice to know more about a person you admire. I think this is a great thing for all bloggers to do. Thanks!! Nice to meet you again, Diane! I have both of your books! I'm a homeschool mom too!! That was a great reintroduction!! It was nice to meet you in Nantes Diane !! And your blog is one of my favorite !! maybe I will bump into you at QuiltCon - I go every other year and sign up as a super volunteer as I am traveling alone and its a great way to meet people and learn. Have followed you for some time now on bloglovin - I have triplet grandchildren - now 7 years old and such a treat! 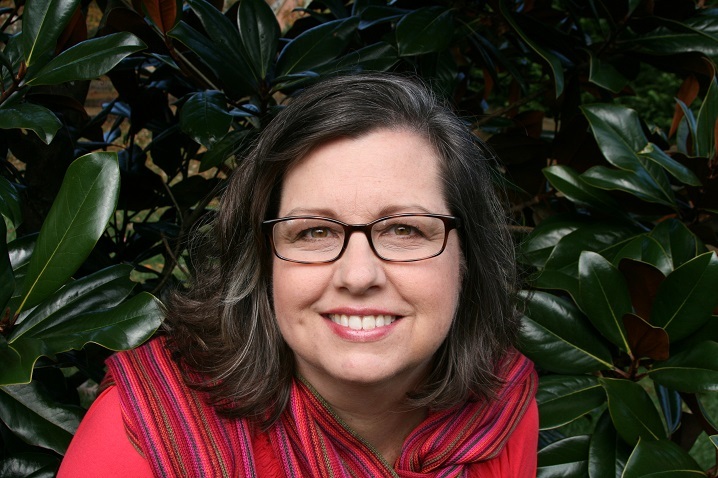 I love reading about how your husband and you met....and your history as a quilter. I learned to sew in middle school and loved it since! So good to "meet" you. I found your blog a few months ago and really enjoy it. Enjoyed your reintroduction today. Thank you for sharing so much! I have visted before and learned more this time. It's interesting how you and your husband met. I transferred 1/2 way across the US with my job and met a guy at work. We were engaged two months later and married a month later = it was because of job moves. We were married 23 1/2 years and then he left. This past August he had to have a total right hip rebuild due to a seizure for which he had no history. Our son came and stayed with me. His dad asked to see me and asked if I would consider reconciliation. We talked and talked and I learned lots about why he left and what has transpired. Our son did want us to try a reconciliation. After the hospitalization, he went to a rehab facility 1 1/2 miles from my house. Then for reasons unknown he was released without being able to bear weight on that side yet. He went to a friend's house about a mile from me and the calls became less frequent. When he went home, the calls stopped. It sure threw into a tail spin and I ended up in the psych unit. Now it has thrown the a rift in the family dynamics including our daughter. I'm hoping to get back to quilting to have a focus. Everytime I visit, I love your banner with the flowers against the "paper" fabric. It inspires me. what a great post! Fun to read about your flight attendant days. I always that would be such an awesome job! I've been a follower for a while, but it's fun to learn new things about you. And I think you are probably much happier as a quilter than if you were still a flight attendant. I think it must be a very stressful career (like many) these days. Can't wait to dive into your new book when I get home from FL. This made me smile! I learned to quilt so I could make a baby quilt for my youngest son - he needed a Christmas baby quilt (he was due in December) and there were none to be found in the stores. Took my first quilting class and never stopped! I also grew up sleeping under my great-grandmother's quilts, and knew I loved them, but never realized how much I would love making my own! How fun to learn more about you! 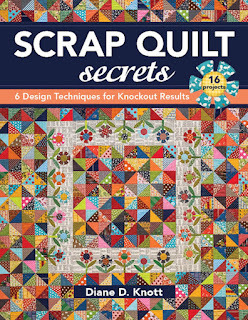 I am loving your book and can't wait to start one of the quilts... Enjoy your family!!! Hi Diane! I just found your blog from a link to your Valentine Trio on the Quilt Fabrication blog. Your quilts are wonderful and I enjoyed this post and learning some things about you. One thing in particular that caught my eye was that one of your sons is in engineering school at Virginia Tech. My husband and I, as well as our son, are all Tech engineering graduates. We think Tech is one of the best places there is!